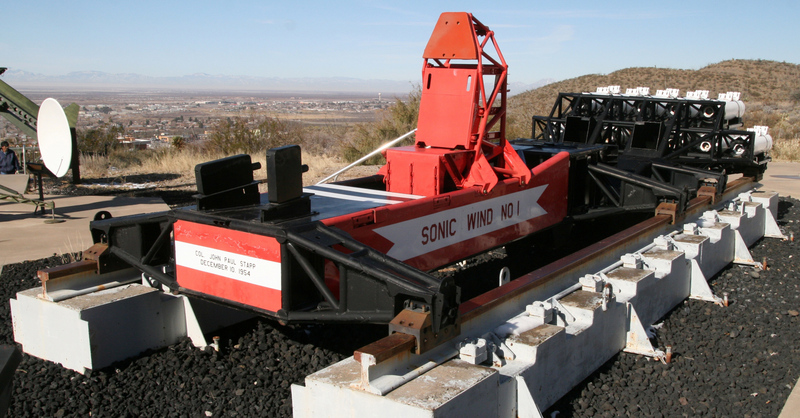 This is the Sonic Wind 1 rocket sled, which was powered by nine solid fuel rockets with 40,000 pounds total thrust for five seconds. 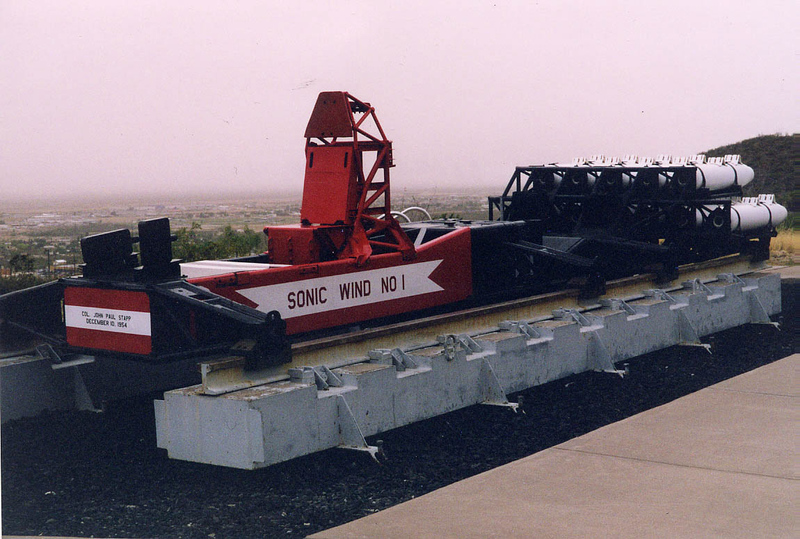 This is the Sonic Wind 1 rocket sled, which was powered by nine solid fuel rockets with 40,000 pounds total thrust for five seconds. Air Force Lt. Col. John Stapp first rode the sled on March 19, 1954, at Holloman Air Force Base, New Mexico, and reached a speed of 613 feet per second. During acceleration, he was subjected to a force of 22 times that of gravity (22 g's). He made his second run on the sled on August 20, 1954 attaining a speed of 735 feet per second. On December 10, 1954, he made his last and most notable ride on the sled reaching a speed of 632 miles per hour. Stapp underwent a force of 40 g's, the highest g force any human had endured to that time. The sled rides helped determine the effects of extreme acceleration on the human body, data that was very useful in aerospace medicine. 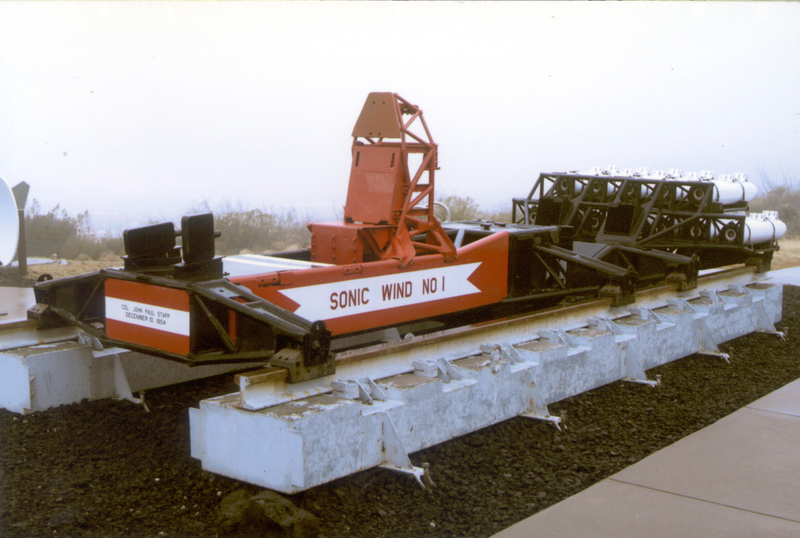 The sled was transferred to the Smithsonian in 1966 by the U.S. Air Force. Originally made of chrome-molybdenum tubing; overall, steel.